How and when was Woolpit Nurseries established? The business was set up in 1978 by Bob and Pam to grow tomatoes commercially. Moving on in 1993 to growing bedding plants to sell direct to the public. 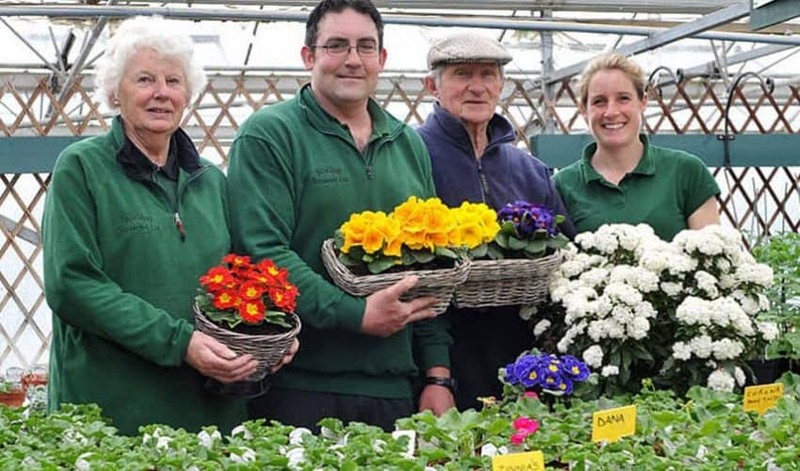 In 2002 their son in law Andrew joined the business, followed by daughter Catherine, which has lead to increased production with now over 250,000 seasonal plants and 2500 hanging baskets for the general public, businesses and local authorities including Bury St Edmunds, Sudbury, Stowmarket and Newmarket. With Bury St Edmunds winning Gold in Anglia in Bloom. Which family members are involved? Bob and Pam still work in the business and help at peak times. With Andrew and Catherine now running the business. How will Woolpit Nurseries business look in the future? 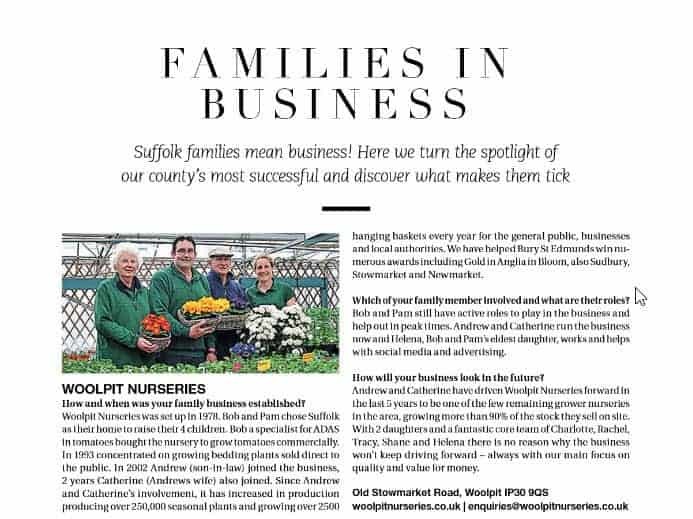 In the last 5 years, Andrew and Catherine have driven the business forward to be one of the few remaining growers nurseries in Suffolk and proudly grow more than 95% of the plant stock themselves. They have a fantastic core team working to keep driving the business forward. in quality and value for money. If you require any more advice, or want to see our large selection of spring and summer bedding plants, then please come and visit the nursery we are open every day 9am until 6pm. Or you can Contact Us through our website.